The indenture dated 1782. 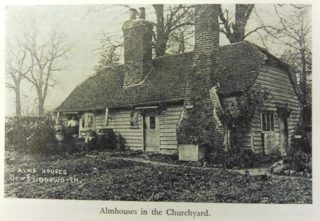 Note the reference 'tenements now called the almshouses'. The indenture of 1830. A transcription has been appended. 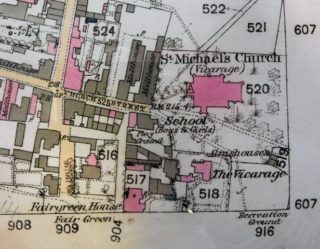 Detail from the 1879 OS map showing the location of the parish almshouse. The church seems to be incorrectly named. The later Mann almshouse was built on the site of the school. 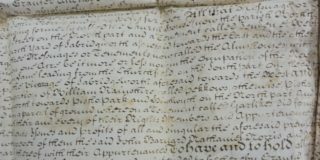 The Church and Poor Lands were comprised in an indenture dated 20 July 1652. The English Civil War had ended. Charles I had lost his head just 3 years earlier, Oliver Cromwell was now Lord Protector and the Puritans were the main force in the country. 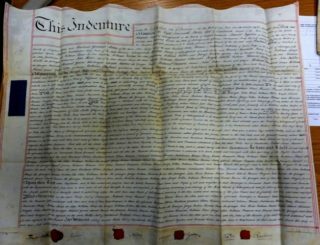 Later conveyances and indentures dated 1782 (which refers to an earlier document of 1743), 1830 and 1873 are held at HALS. Some are rather faded and hard to read, but transcriptions of two of them have been appended. The 1782 document is interesting in that it differentiates between the almshouse and the workhouse. And a sum of £720 14s. 5d. consols in the name of the official trustees, producing £18 0s. 4d. 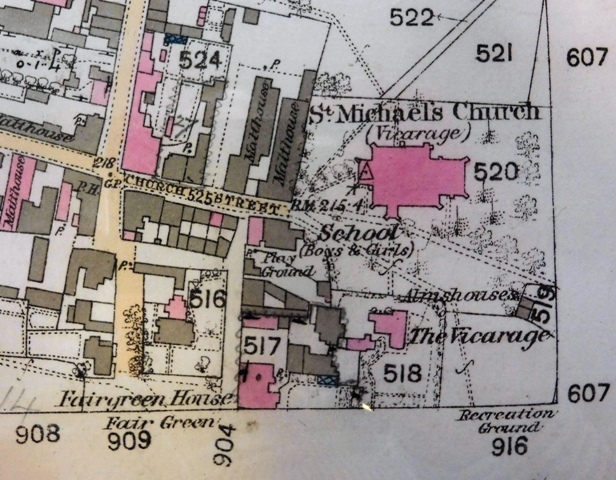 yearly, arising from the sale in 1898 of a rood of land in Church Street, with the dwelling-house and school buildings thereon. The net income is distributed to the poor. This does raise the question as to what income, if any, was derived from the almshouses. Charles Wade (died 1884) adds that the 3 messuages had for many years been used as almshouses in wh. [three] poor women reside rent free. They are put in on the nomination of the Vicar and confirmed by the Churchwardens. Each of them receives parochial relief […….] 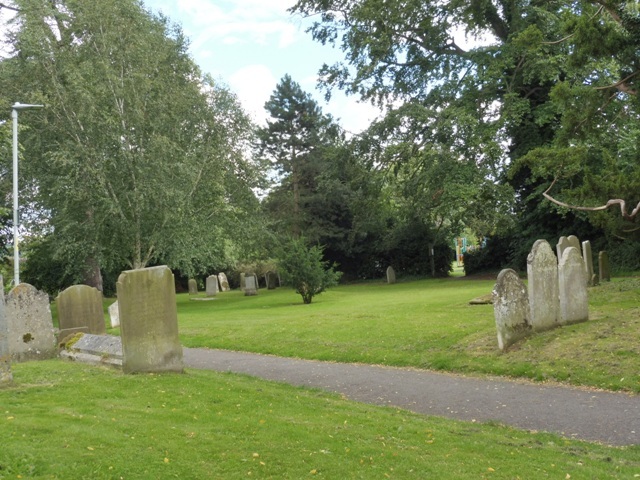 at the expense of this parish…………. An image can be found in a publication by Workers Educational Association, on page 27. It shows a hipped roof building, with shiplap wooden walls and substantial brick chimneys. It looks as if one dwelling is entered from the end while the other two are entered from the side. Gerish includes a cutting about some proposed changes to the Church and Poor Lands Charity in 1907. The Sawbridgeworth United Charities (also known as The Sawbridgeworth Trust) are regulated by a scheme of the Charity Commissioners dated 6 March 1908. 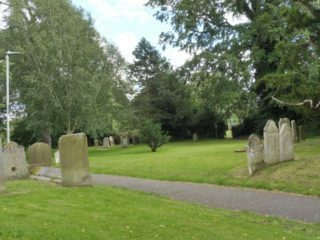 The Church and Poor Lands (exclusive of Sawbridgeworth Ecclesiastical Charity). ref 237946-1 is linked with Sawbridgeworth United Charities. The current reference is 237946. Registration was in 1964, and a scheme if 1971 is also mentioned. Manuscript materials for a History of Sawbridgeworth Hertfordshire compiled by Dr Charles Wade, died 1884. The papers were purchased by J L Glascock who disposed of them to East Herts Archeological Society. A copy, dated 1968, is held at Sawbridgeworth library as at Feb 2017. The Story of Sawbridgeworth, by Sawbridgeworth WEA [Workers Educational Association]. Book 1 published 1961-1964.